As a copywriter, words are my thing. This is the same when it comes to music. I love clever lyrics, word plays and puns. I like bars that I can relate to. It could be a crappy beat but if the lyrics are well written then I will most definitely enjoy that track. Here is a list of tracks by female rappers that I like. Keyword being ‘I’. I’m not sure why he didn’t invest in a music video for this song. It has Fifi Cooper, Nomoozlie, Rouge and Gigi Lamayne all in the same song. 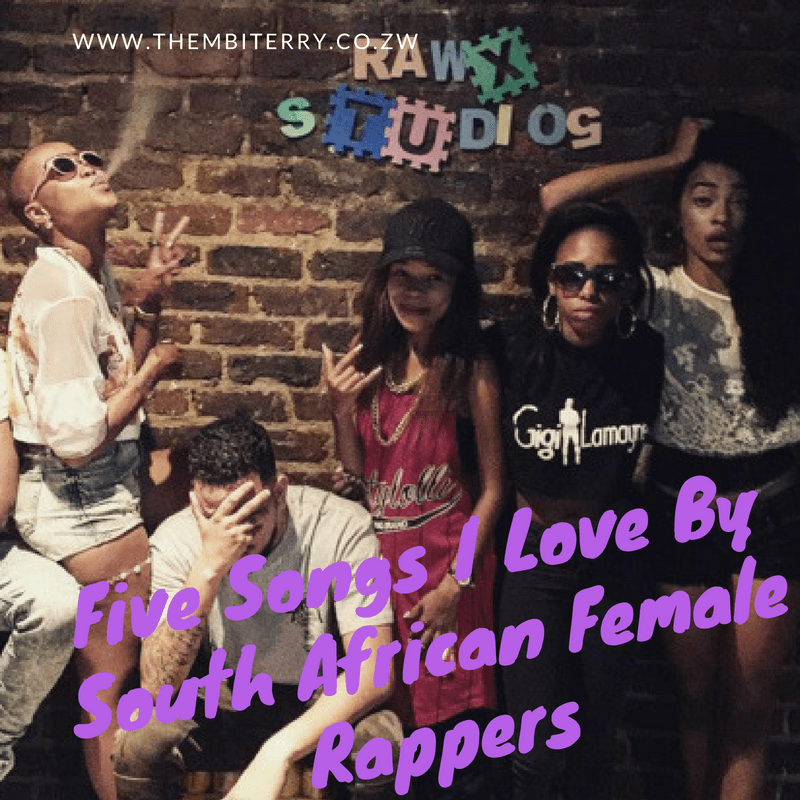 Fifi opens the song and gives us the vernac rhymes that we now recognize as her signature move. Rouge follows and she raps in English and finishes off in French flow. Nomoozlie comes in hot with the boss chick rhymes that embody my money goals. Gigi Lamayne ends the track strong. Her vocals are clean and she raps in what sounds to me like Afrikaans and maybe Zulu. I love the word play on recipe. She says, “Y’all not eating come and get the recipe.” This to me sounds like the recipe for success. She boasts about a lot in this song. I really believe that when I get my money right, I’m gonna be a problem like Moozlie. No time for that humble brag, I would have worked hard for it so yeah watch me flex shem. She stands up for herself and goes hard at all her haters. That bravery could never be me. This girl is funny. I rarely follow celebrity pages but hers I do. The first time I found out about Gigi was when the Ice Cream song came out. I knew right then I loved her. Didn’t understand some parts of it but her voice does it for me. She is strong and educated. Gigi has been pushing since 16, it’s a long time. I cannot relate to her recent stuff but I am sure my love for her will rekindle some day. This was totally unexpected from Boity. I love that she continues to push the envelope and try new things. This is the epitome of levelling up. She has assumed various roles in the music industry, it was only right that this would be her next step. Her lyrics are bars on bars and the it’s a banger. She leveraged on her star power and delivered. I am very proud of her. The song is great.